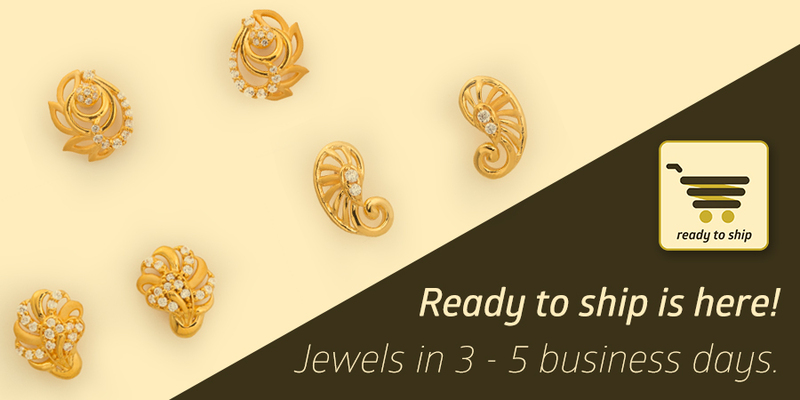 You have always loved our jewellery – the unrivalled workmanship, unique designs and honest pricing! But there’s one thing we know you weren’t too happy about, the waiting period to get your dream jewel done. Starting this week we will be having some jewellery marked as “Ready to Ship” – jewels readily available in our inventory and when you choose to buy it, the shipping time is all it takes to get your dream jewel. In other words if you are from any major city in India, 3 – 5 business days is all you need to get your masterpiece. Great news, right? There’s even more. Very soon we will be having a dedicated section of amazing Designer Studs & Pendents available as Instant Online Shopping!